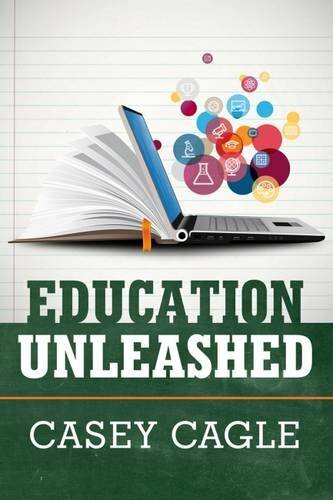 In his new book Education Unleashed, Lt. Governor Casey Cagle describes a vision for public elementary and secondary education that lets each student achieve to the best of his or her abilities by empowering teachers, schools, and school districts to make their own decisions about how to best educate their students. To make his point, Cagle draws upon what he learned and accomplished as a state senator and lieutenant governor, and his personal experiences as a student and a successful small business owner. Cagle reviews the present state of education in Georgia, from the Quality Basic Education Act’s funding formula that allocates state funds to school systems based on enrollment, to No Child Left Behind, which relies on standardized testing to measure the effectiveness of elementary and secondary education. In both cases, he argues, the top down approach to education policy does little to address the specific needs of the individual school system and its students. Cagle takes an entire chapter to describe ten principles he believes are necessary to provide students with a successful education. Each principle is aimed at bringing educational programs and decisions closer to the student. It starts with the first principle, which is to abandon the one size fits all system in which each student is fitted into the same learning schedule, advancing to new material and being promoted to a new grade level whether ready or not. In order to understand and meet the needs of students, teachers and principals must be allowed to use what they know about their students and schools to promote better educational outcomes. I do not believe that our greatest challenge in improving our public education system is merely a matter of adjusting overall funding or configuring a new formula to give more money to schools to implement new programs. Rather, our most significant obstacle is to reform our status quo operations by questioning how we think about public education in Georgia and returning as much authority as possible back to school districts to they can allocate more funding back to individual schools, giving them flexibility to use those funds to serve the needs of individual students. Giving teachers and administrators more authority to determine the most effective way to educate their students doesn’t mean that they are not accountable to anyone for what is taught, and how to measure the success of their students. Several principles describe what’s needed. Success, Cagle postulates, must be defined using measurable outcomes. This is more than standardized testing. It means setting educational goals and ways to measure progress towards each goal. These goals should be determined individually for each school system, rather than being set statewide, because the needs and capabilities of one system may be different than another one with a different population. An accountability contract is the glue that ties the goals set by the system and student performance together. The accountability contract as defined by Cagle is a five year plan that not only lists a district’s goals, but the specific plans to achieve those goals. The accountability contract can and should be a collaborative effort between all stakeholders, including the schools, the business community, and post-secondary educational institutions in the area. Ultimately, the accountability contract serves as a guiding document for teachers and schools. In Cagle’s view, the customization of educational goals to the needs of the student, and in turn letting the student be all he or she can be, will only work If the teachers, schools, and school systems truly have ownership of what they do. This means freedom from the federal and state educational bureaucracy along with the flexibility to design the curriculum that best meets their students’ needs. Lt. Governor Cagle’s vision to improve education is informed by two separate programs he has championed over the years. The Charter Systems Act of 2007 and the District Accountability Act of 2008 freed certain school systems from many state educational mandates if they were willing to become charter school systems. Also in 2007, Cagle established the College and Career Academy Network to encourage partnerships between school systems, business leaders, and a local technical college to allow students to graduate with career ready skills that are in demand by local employers. The book contains several chapters describing how the educational principles he lays out are being implemented successfully in the state’s charter systems ranging from tiny Warren County Schools to the urban Marietta City Schools. It describes how the College and Career Academy program has expanded to 37 of the state’s school systems, including Madison County, where a partnership with Athens Technical College produces high school graduates with experience as interns at the Caterpillar plant in Athens. The book doesn’t answer every possible question that might arise regarding Cagle’s vision for education. By pushing school governance and the definition of curricula down to the local level, his ideas go against one of the reasons for the development of the Common Core standards – that all students should share the same level of knowledge at a certain grade level. There’s also no mention of what to do when a school system fails to achieve the goals set out in its accountability contract, for example, whether there should be something like the Opportunity School District to get the system back on track. The remainder sections of bookstores are littered with the works of politicians who hoped to raise their profile and improve their chances of being elected to higher office by writing a book. With Lt. Governor Cagle expected by many to announce a run for the state’s top job in the near future, it’s tempting to look at Education Unleashed as such an effort. Yet the book contains more pedagogy than it does self-promotion. While it shows off some of Cagle’s biography, including his experience at public schools in Hall County and what he learned as a football recruit at Georgia Southern under Coach Erk Russell, those experiences are used as a foundation for his ideas to improve education. In summary, the book describes Lt. Governor Cagle’s vision for a 21st century education, building on his experience with charter school districts and college and career academies. It can serve as a resource for educators, school boards, and anyone working on public policy dealing with K-12 education. I’m interested in reading his book and agree with most of what is said in this post, but he has been LT Governor for a decade and could have addressed many of these issues. I haven’t read the book but I do like the idea of more local focused / non-standardized education summarized in this review. Was there any significant discussion of parental involvement or school choice in the book? Hopefully so as parents are the primary stakeholder in their children’s education and they need to be involved and empowered just as much if not more than schools, colleges, and the business community.